The VP-100 is a high-performance format converter for computer graphics video signals. 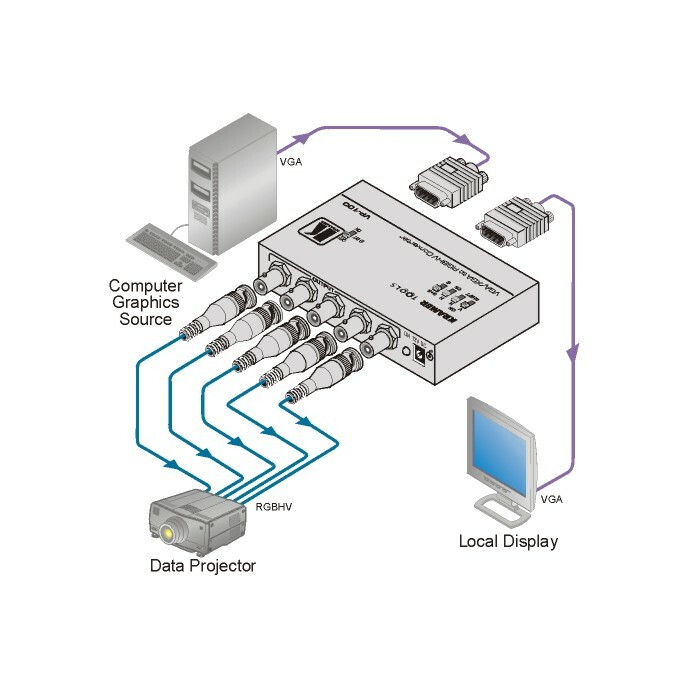 It converts a computer graphics video signal on a 15-pin HD connector to either RGBS, RGsB, or RGBHV video signals on BNC connectors. Control - H/V sync shift & sync selection.